Generations of adults – children once – grew up reading the books of Helen Oxenbury: We’re Going on a Bear Hunt, Ten Little Fingers and Ten Little Toes, Farmer Duck, There’s Going to Be a Baby, and countless more. In Helen Oxenbury: A Life in Illustration, Leonard S. Marcus offers smart insights to her life, work and career. The great American historian and curator is a wise and sympathetic guide. His text works, as it should, to support the artwork. And wonderful it is to see these images reproduced in large format and on high quality paper. If you have any interest in picture books, children’s publishing, or the creative life this book is simply a must-have. Earlier this year Helen Oxenbury, along with her husband John Burningham, was honoured with a lifetime achievement award from the BookTrust, UK.This book is a fitting tribute that we can all share and enjoy. Sometimes a book only needs 140 pages to leave an impact. 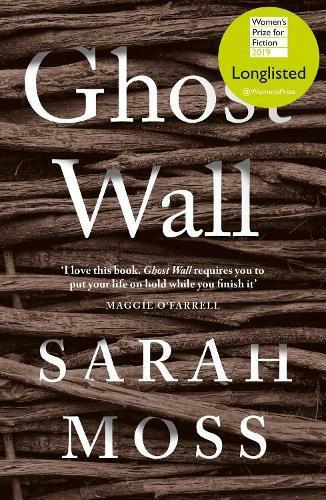 A novella that feels epic, Ghost Wall is one of those books. It consumed my weekend even though it only took a few hours to read. Not by choice, Sylvie is spending her summer before the end of high school in a bronze age Northumberland hut. It’s an exercise in experimental archaeology that her overbearing father, an avid amateur enthusiast, has dragged the family into. Surrounding this (comical if it wasn’t so unpleasant) activity is the feeling of the bog people – these young women, Sylvie’s age, who were sacrificed to the bog thousands of years ago. Wry and increasingly tense, this wonderful short novel will stay with you far longer than expected. Earlier this year I read and loved Jasmine Guillory’s first romance novel, and so I was excited to get stuck into her new novel this past weekend. This new story opens with a scenario that sends unpleasant cold shivers down my spine: a public marriage proposal which goes viral after Nik turns down her (very handsome, very unsuitable, does not know how to spell her name) boyfriend. When a friendly pair of siblings help her evade a camera crew, she finds she has an instant connection with the brother, Carlos. This is a character-driven, bighearted and comforting story that’s equally suitable for the casual romance reader as the avid fan. If you’re wanting to slip away from the world for a few hours to just think happy thoughts, The Proposal might be exactly what you’re looking for. This weekend I did what I should have done a long time ago: watch an Oscar-winning documentary. Icarus follows one man’s attempt to game the doping authorities in international cycling and winds up a little more than uncomfortably embroiled in the massive international scandal following Russia’s expulsion from the Rio 2016 Olympics. Playing at times like an exposé and at other times a Le Carré spy thriller, it does what documentaries do best: get turned completely on their head when real life proves to be even crazier than the planned narrative. Even better, it’s on Netflix, so there’s no excuse not to get onto this one. A long weekend is truly a gift and so, refusing to be maligned by the weather, I took to the days like a baby duck to water. One day, I spent some time gardening with a very excellent new book, The Planthunter, as my inspiration. I love this book because it is not didactic about how and what to grow in your garden; rather, it is a series of stories about other peoples' plots of dirt. Reading it inspired me to rearrange my pots, plant my tomatoes seedlings and give everything in the garden some well-deserved nectar using the juice from my worm farm. On another day, I read an entire novel in one sitting – My Year of Rest and Relaxation by Ottessa Moshfegh, a fiction writer from Boston. This novel is everything – poignant and absurdly funny with razor-sharp observations of friendship and the art world. The protagonist is a young, beautiful and bereft woman who lives in an apartment on the Upper East Side of Manhattan paid for by her inheritance. She decides to take a year out of her life by taking a truly ludicrous combination of drugs in the hope for a type of salvation. I wept at the end of this novel. Over the entire weekend I also watched my way through the first season of Strike. This BBC series is based on the first three crime novels by Robert Galbraith who (we all now know) is the same as the one and only J.K. Rowling. The series stars Tom Burke as Cormoran Strike, a war veteran turned private detective operating out of a tiny office in London’s Denmark Street, who uses his unique insight and his background as a Special Investigation Branch investigator to solve complex cases that have eluded the police. Holliday Grainger plays the role of his detective partner Robin Ellacott. I do think Joanne Rowling is one of the most extraordinary storytellers of our time and Strike is superb viewing. I also cooked a recipe from Annabel Crabb and Wendy Sharpe’s new cookbook, Special Guest. Their Salmon and Fennel Pie is delicious and barely takes more than 15 minutes to prepare. It’s also perfect paired with a soft Mornington Peninsula Pinot Gris. All in all, it was a weekend well spent – relishing in the written word, enjoying the tiny changes in the garden and feeding my family on excellent homemade food, while watching the most perfect detective series made far away from Melbourne.